The median home value in Moriarty, NM is $80,000 This is lower than the county median home value of $112,800. The national median home value is $185,800. The average price of homes sold in , is $. Approximately 49.48% of Moriarty homes are owned, compared to 27.6% rented, while 22.92% are vacant. Moriarty real estate listings include condos, townhomes, and single family homes for sale. . Commercial properties are also available. If you see a property Moriarty real estate agent to arrange a tour today ! Welcome to Sweetwater Hills! It's time to make the move to the country and enjoy life. This home has new carpet, fresh paint and updated bath rooms. There are forever views to enjoy from your front deck. The house is on 2.27 acres but also included is the back lot with 2.39 acres. Bring the critters and the kiddos too. Make this home yours before its too late. Home in town, quiet Moriarty, New Mexico neighborhood, walking distance to school, Small Town America. Large fenced and landscaped yard, this older home is in great shape. Remodelers and investors take a look! Acreage for sale in Torrance County, New Mexico just south of Moriarty and 10 minutes from Interstate 40. 333 acres of Blue Gramma grazing land with direct access to State Highway 41. The property has a portion of D2 Heavy Commercial zoning as well as a portion that is Rural Residential zoning, many possibilities here. Center portion of the property is in a flood zone and is optimal for grazing. This is Cowboy Country where the rural lifestyle is king and the grass is plentiful. This is the perfect place to graze your horses and/or cattle. The ranch is fenced on three sides with about a half mile on the west side that is not fenced. Albuquerque is just 40 minutes west and Santa Fe is about an hour northwest. Ag loan possible with Farm Credit, Ag NM, USDA. This 1040 acres of pasture grassland in Torrance County, New Mexico, is now available. There is a functioning stock well for watering livestock along with perimeter fencing and cattle guards. A good county road runs through the property making this a great place to build a home and be insulated from neighbors. There are pens and a chute at the far southerly boundary on the west side of Skoal Road. This area is known for its high protein blue gramma grass and can support about 30 large animals with year round grazing and no supplemental feed. The ranch is near Moriarty, NM, with less than an hour's commute to either Albuquerque or Santa Fe. This is also a great place to raise kids in this small town America rural lifestyle. Please contact Ag New Mexico or USDA for financing options. This horse property near Moriarty, New Mexico is on 40-fully-fenced acres with expansive mountain views and a 2300 square foot country ranch style home. Interstate 40 is less than 15 minutes away with Albuquerque being an additional 30 minutes. Santa Fe is about an hour away with its offerings of culture, art and food. This home with newly laid carpet has 3 bedrooms and a possible 4th bedroom that would make a perfect mother-in-law quarters or use the space as a private office. This area features a private 3/4 bath and separate entry. There are a total of 4 bathrooms in this home, one of them being a Jack and Jill bath. The kitchen is compact and efficient with an eating bar for four. The home is heated with a radiant natural gas system and cooled with refrigerated air conditioning. back of the home with a hot tub that is included in the sale. This property is NM country rural lifestyle living at its best with magnificent sunsets over the Manzano Mountains. Super Cute Pueblo Style home in established neighborhood in the heart of Moriarty. 2 bedrooms, New Carpet, Fenced front and back yard for critters. Side yard great for an RV Parking. 1 Car Garage has large storage room.City water and Sewer, Natural Gas. Move in Ready. This beautifully updated home has many great features. A few are: new int/ext paint, roof, light fixtures, tile & carpet, landscape, privacy fencing, laundry room shelving, updated bathrooms, new alarm system, new door hardware/locks, etc. It's ready for new owners to move in and enjoy. A beautiful country retreat less 45 min east of Albuquerque! This gorgeous remodeled 4 bedroom, 2 bath, single story 2,372 sqft ranch style home on an over 1 acre corner lot offers a brand new kitchen, updated bathrooms and beautiful outdoor living space. This cared for home boasts an open concept living area with a finished walkout basement for extra flex space. The exterior has new siding and paint, seamless gutters and newer propanel roof. The front yard is fully landscaped offers gorgeous curb appeal. Mature pine trees create cooling shade and privacy along with plenty of room for all your toys. The fully fenced backyard oasis features a beautiful new deck, hot tub, new septic, xeriscape and grass. MOVE IN READY!! Carpet allowance with acceptable offer. This Moriarty, New Mexico horse property has it all featuring a 4-stall insulated barn with a roll-up door, 150'x300' ropin' arena currently planted in winter wheat, catch pens off the arena and a multitude of Â other pens, many frost free hydrants, 60'x40' shop with power, heat, air conditioning, mezzanine storage, and office area. Not to be missed is the large equipment storage area with a concrete loading dock. This is a lovely ranch style home with 4 bedrooms, 3 bathrooms, stunning kitchen, large great room with a wet bar and new vinyl laminate flooring. Beautiful heated sun room and hot tub. The master suite has an updated bath also with new flooring. There is an area off the bedroom that can be used as an office or reading room. Â This home is made for entertaining especiallyÂ after a fun day in the ropin' arena.The backyard is beautifully landscaped with lush turf and mature trees. The serious horseman will appreciate the many fine details this property has to offer. I40 is minutes away with Albuquerque and Santa Fe both under an hour. 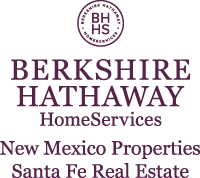 Â This is one of the finest properties central New Mexico has to offer, Â must be seen to be appreciated. This 6800 sf home in Moriarty, NM features 5 bedrooms and 5 bathrooms. This is an older home that has been well cared for, has seen a number of children into adulthood and has hosted many parties for family, friends and community. The home features two large living areas, wet bar, large dining room and breakfast nook. The kitchen is modern and easy to work in with many cabinets and built-ins. Not only is there plenty of living space, there are many entertainment opportunities with an indoor pool, large patio with outdoor kitchen, a basketball court and a game room. The yard is simply magnificent with many mature trees, lush lawn and an array of flowers. This is small town America in the heart of New Mexico along the I40 corridor. Albuquerque and Santa Fe are less than an hour away.